SKAMpede will be entering its’ 11th year in the summer of 2019! 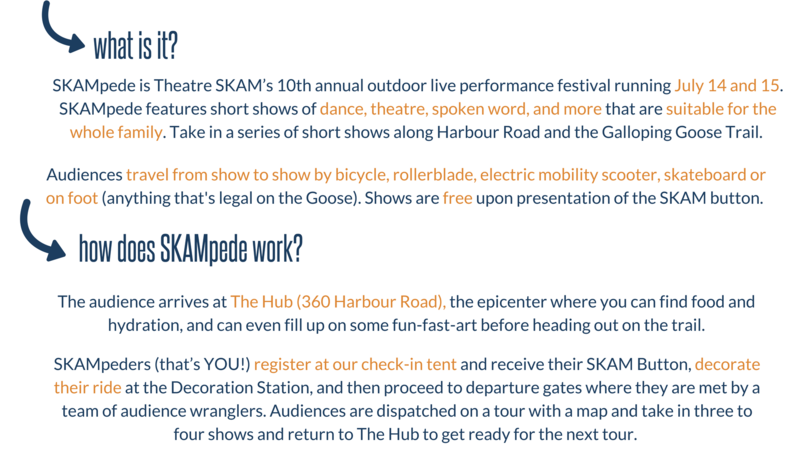 SKAMpede 2019 take place July 12 – 14 and run along the Galloping Goose trail and Harbour Road. Applications for Artists have now closed. Thank you to all the companies that applied! 2019 line-up will be announced soon. 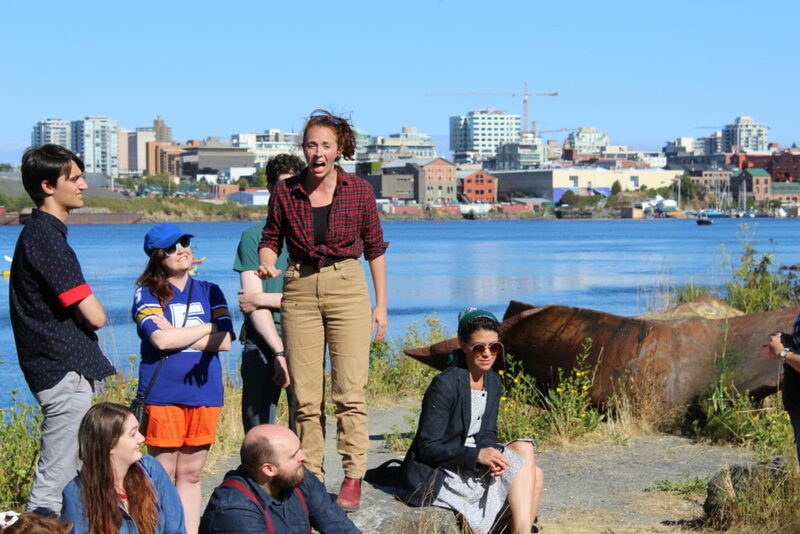 Theatre SKAM would like to thank Used Victoria for their contribution of ad space to SKAMpede 2018. Theatre SKAM would like to thank Point Home Maritime for their generous donation to SKAMpede 2018. Theatre SKAM would like to thank Lowell’s Moving & Storage for their generous contribution of storage for SKAMpede equipment. 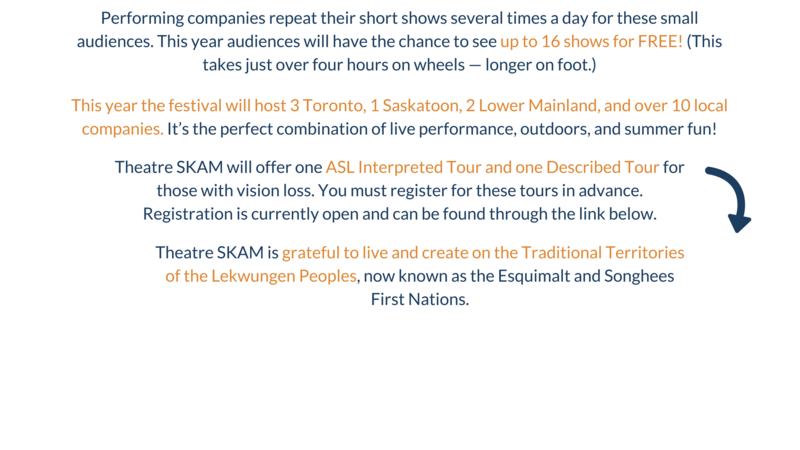 Theatre SKAM would like to thank Oak Bay Bicycles for their generous donations to SKAMpede 2018 through silent auction donation, bike parking, and a cargo bike. Are the performers in SKAMpede any good? SKAMpede is a festival of new short works by top local and national performers who have been selected through a formal submission process. Each of the shows are different and the range of performances encompasses spoken word, dance, story telling and much more! 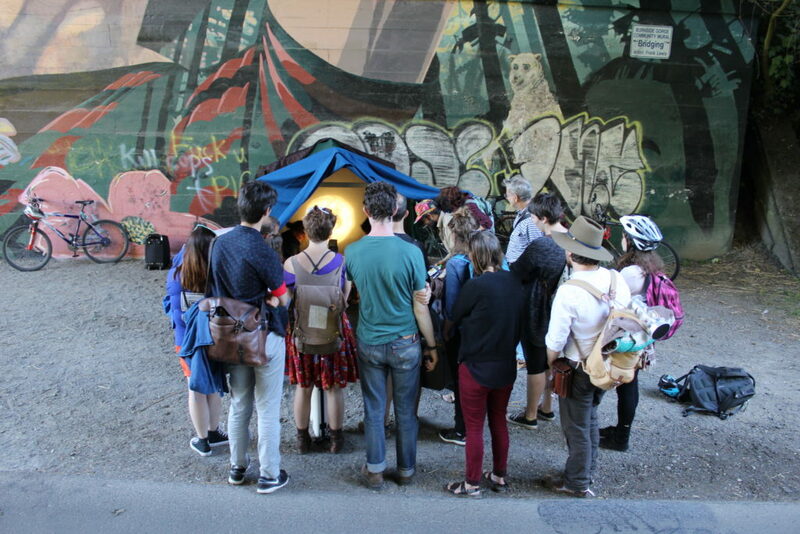 The local performers have all worked as professional artists in places like Craigdarroch Castle, Atomic Vaudeville, The Belfry Theatre and Butchart Gardens. SKAMartists are paid for their work. This event sounds big, but I’ve never heard of it? SKAMpede is entering its’ 11th year! The Festival will run July 12 – 14, 2019. Schedule details and artist announcement to come. 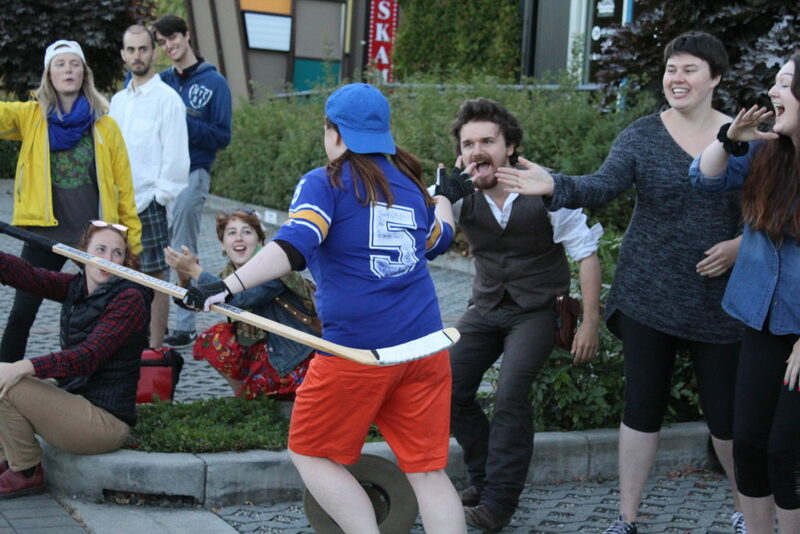 SKAMpede sounds messy, how do you keep the ball rolling? Like many people who regularly use the Galloping Goose, we also consider ourselves stewards of the trail. We have worked with city and regional officials, community groups, and other professionals to ensure the footprint of the event is ecologically sound.